A report by Gartner says that 40% of mobile app development projects would make use of cloud-based mobile back-end services in 2016. 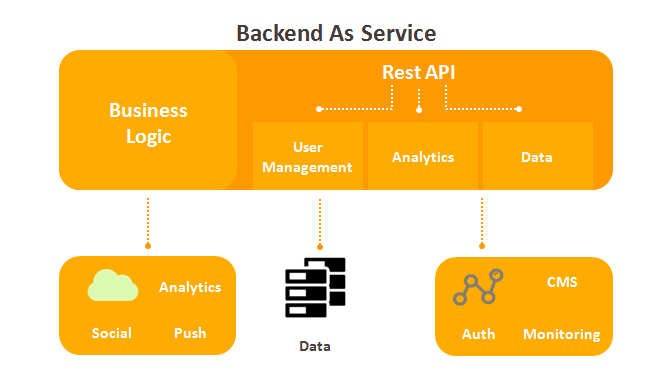 With mobile back-end as a service, known as MBaaS, 70% of the time dedicated to backend development can be reduced and more focus be given to frontend development. MBaaS is a pre-built cloud hosted infrastructure that enables web and mobile applications to access backend APIs, storage, and various social networks seamlessly. In simple words, it is a way of empowering mobile developers with ready backend mobile resources, APIs, and cloud storage so that the mobile application development process can be fast-tracked. They are saved from doing repetitively the time consuming complex back-end development and server configuration processes. The saved time can be used to improve on the UI/UX and other critical front-end elements of a mobile application that offer a smoother experience to the users. 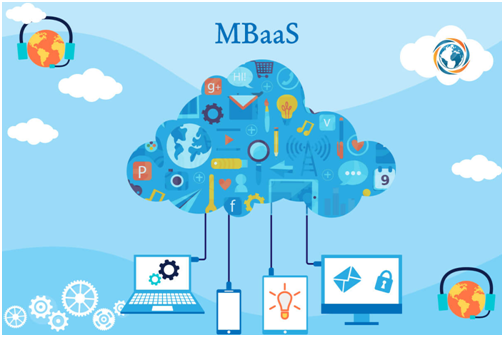 As MBaaS is backed by cloud computing at the backend, it is one of the most easily readily available upfront solutions for companies. There are many factors that make MBaaS one of the best possible methods for your mobile application backend. Cost effectiveness: As the codes to be written are fewer when compared to other backend development techniques, the cost of development is reduced to a great extent to begin with. Moreover, your backend becomes scalable that lets you pay for what you have used. Out-of-the-box features: MBaaS offers out-of-the-box-features to be integrated easily with your application. Upgradation of features is also cost and time effective making MBaaS one of the best viable options for mobile back-end. IoT integration: Organizations are focusing on integrating IoT with mobile applications. With backend becoming simplified with MBaaS, integration of IoT would be much easier. Other advantages include short development cycles that result in quick turnaround time and faster time to market. WHEN to opt for MBaaS? Security is a major factor for any application. When you are building an application that by no means can have any loopholes that can compromise on security as required by law, for instance, HIPAA compliant healthcare applications, MBaaS can offer multifactor security capabilities that are light weight. 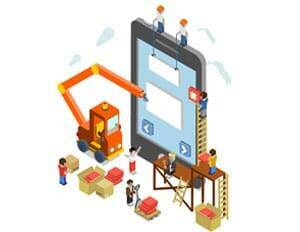 To ensure a holistic and consistent integration of mobile channel across all consumer touch points. When you need consistent behavior across different frontend platforms. For organizations launching multiple applications for their sub-products, having consistency across different platforms as well as applications is crucial. Get latest trends on mobility in your inbox by subscribing to our blog. Can these json ajax requests use rmeember-me authentication? On my website, I use the spring security core plugin and my persistent logins work great until I make my first ajax/json request. I then get a cookie theft error and the users needs to login manually. Do you have any examples on how to make persistent logins work with ajax request? Thank you. Jeff.